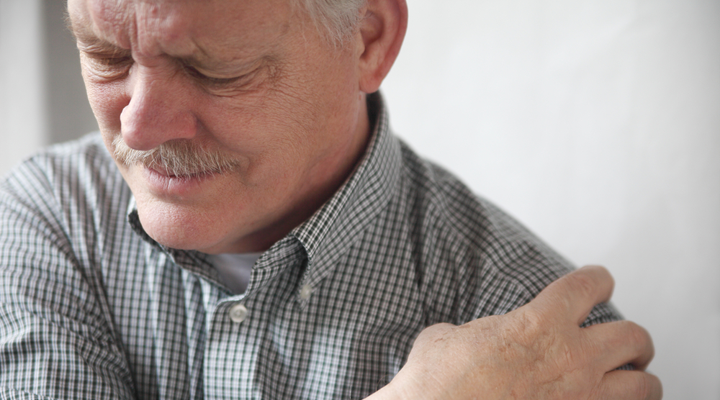 Close to 100 million people in the United States alone suffer from chronic pain on a daily basis. Chronic pain is defined as pain that lasts for a longer time period than six months, and can range from mild discomfort to excruciating, debilitating pain. Chronic pain can be a simple nuisance or completely incapacitating depending on the individual and the circumstances. Regardless of the severity of the pain, chronic pain is a serious issue for those who deal with it regularly. While these are some common problems associated with chronic pain, there is no exact spot for chronic pain to occur. This ailment can also result in generalized nerve or muscle pain that eventually develops into a chronic condition. Oftentimes, chronic pain is the result of an injury or trauma to a certain area of the body. It is also commonly caused by an infection or some other ongoing cause of the pain. While it is often possible to pinpoint where the pain began, other patients report chronic pain without the occurrence of an injury or other body damage. Chronic pain is perhaps the most debilitating in an emotional way. Dealing with severe pain on a daily basis can cause depression, anger, stress, anxiety, and fatigue in the average person. Pain may also stifle the body’s ability to produce natural painkillers, and can increase the production of substances that amplify pain. This causes a vicious cycle of pain, discomfort, and frustration for the individual that is suffering and those caring for them. Experts believe there is a direct link between the mind and the body when it comes to chronic pain. Treatment may require a physiological course as well as psychological treatment to identify the underlying causes of the pain. Treatment is often determined on a patient by patient basis, as pain differs in each individual. Determining the cause of chronic pain is often a matter of taking an in-depth look at the person’s medical history and recent injuries or trauma. Overall, chronic pain can be difficult to treat because there are no obvious reasons for the pain or the distress. Patients and healthcare professionals alike must be patient and persistent in uncovering the causes and treating the issues surrounding chronic pain. Overall, chronic pain has far reaching consequences into the lives of every individual. Dealing with chronic pain can lessen the quality of life of the individual quickly, and cause frustration and stress in relationships and everyday life. Many who deal with chronic pain feel hopeless, as if life is not worth living. While treatment often involves medical intervention, many individuals benefit from some simple lifestyle changes that can decrease the occurrence of pain. While these interventions may not completely rid the body of pain, they can elevate the mood and aid the individual in dealing with the effects of pain every day. This ailment requires that individuals, healthcare professionals, and caregivers are patient and persistent in discovering a course of treatment. Those who suffer from chronic pain require both physical and emotional support to increase their quality of life.